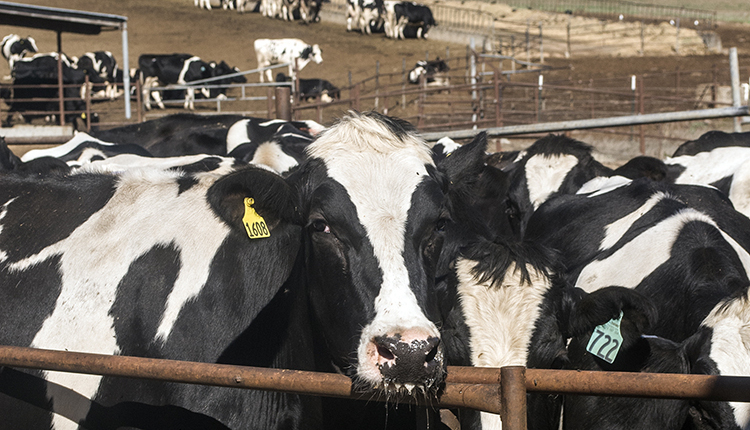 Overall, 1,725 dairy farms across the United States called it quits last year. 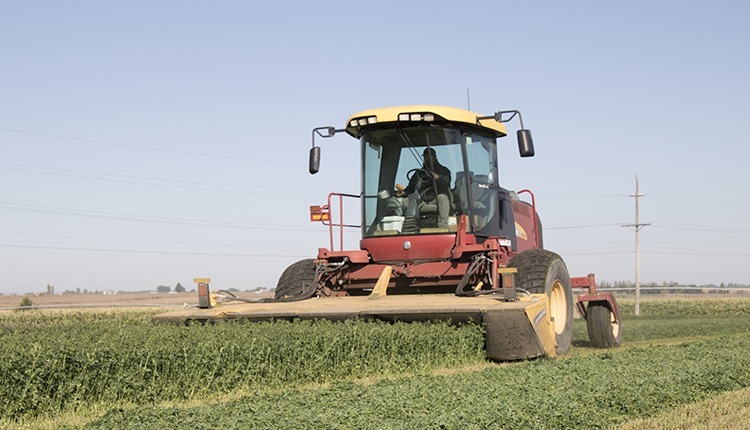 That total represented deeper exits from just one year earlier when 1,275 farms left the industry. 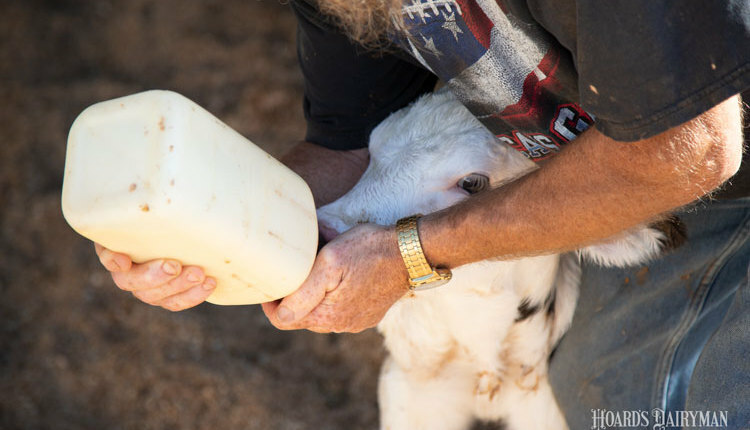 Tight margins that ranged from $5.76 to $9.17 per hundredweight after feed costs were among the reasons that more dairy farmers exited the industry last year. Those business closings were only the fourth time in the past decade that 4 percent or more of dairy farmers called it quits. 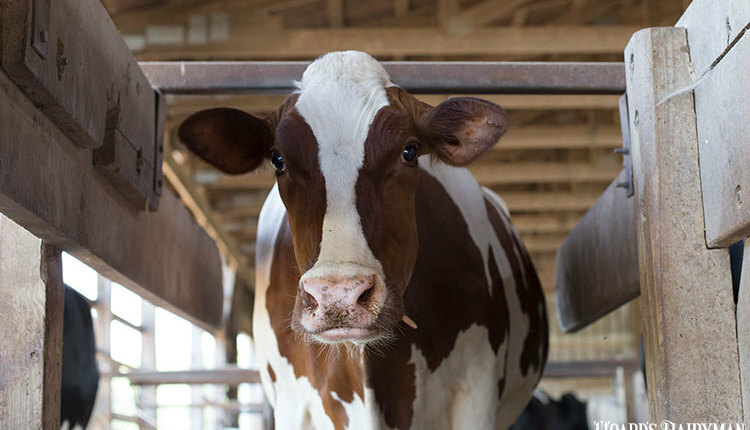 As the industry continues to lose dairy farms, cow number remain robust as the national dairy herd reached a 20-year high of 9.328 million cows last year. Given these two trends in recent USDA statistics, it goes without saying that dairy cows and farms continue to consolidate into clusters. When evaluating the top 10 dairy states as measured by total dairy farms, that group only lost 3.7 percent of its farms last year. 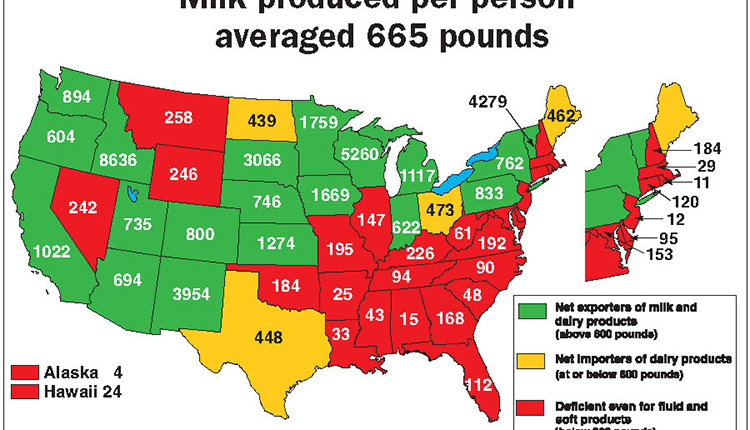 Each state in that group also had 1,000 or more dairy farms. For the remaining 40 states, losses totaled a more brisk 4.9 percent. 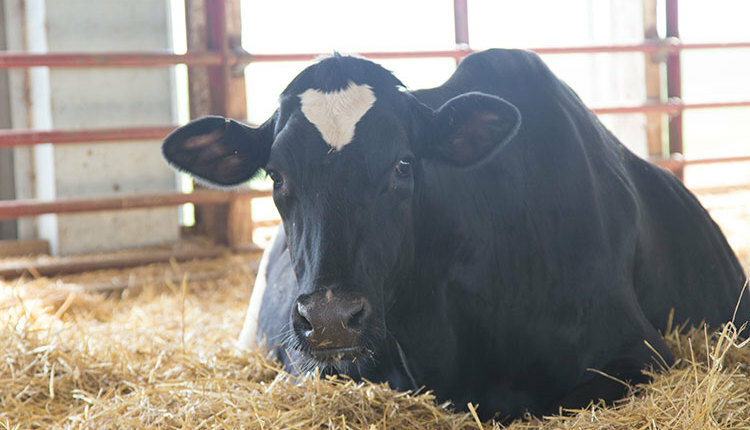 With 9,520 farms holding permits to sell milk, Wisconsin was home to 23 percent of the country’s dairy farms. 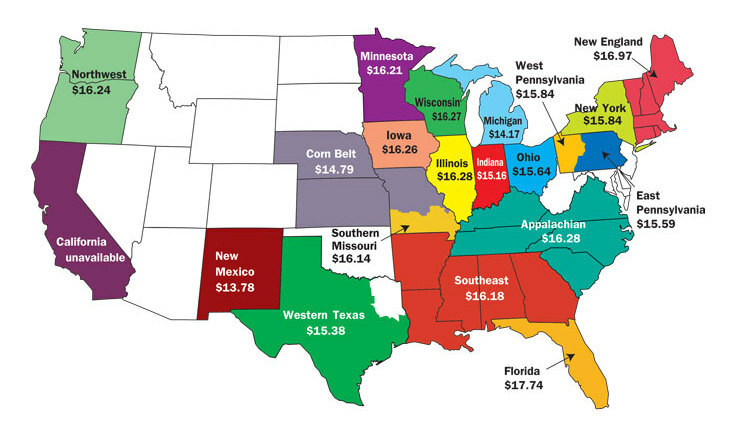 Next on the list is Pennsylvania with 6,650 farms. 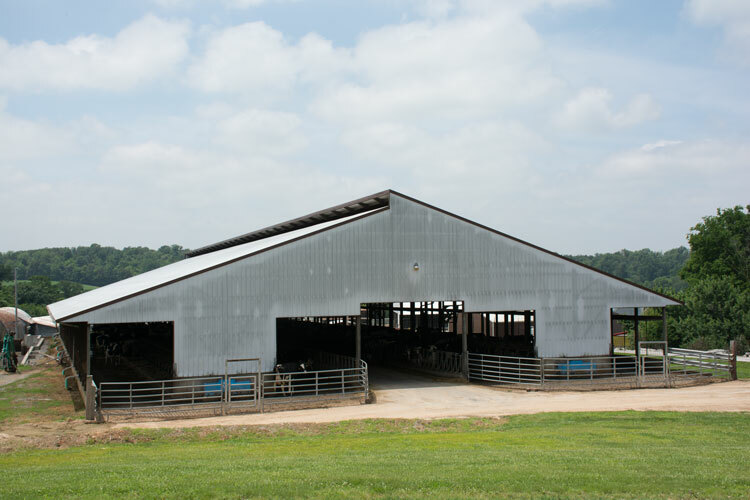 Overall, the nation’s herd size climbed to 223 cows per farm. An in-depth analysis of U.S. dairy farm numbers can be found on page 151 of the March 10, 2017, issue.